So you have a great menu. The food is distinctive, beautifully presented, with good value. Customers will fall in love with your food but first you must get them in the front door! Whether you are a new establishment or just looking to get your name out there, these inexpensive marketing ideas will help you fill your tables and booths. Start with thinking local. One of the best ways to make a name for yourself is to find ways to give back to your community. Perhaps you can partner with a local charity by offering your services for an event or by offering volunteering services from your employees. Sponsor a local team. Name the team after your restaurant and showcase your logo on team shirts. You are not only supporting your community but you are making use of efficient marketing. Every community has a chamber of commerce. Joining is a perfect way to network with fellow community members. You may even wish to host or sponsor chamber events. Thinking local can also help you collaborate with other businesses. Get together with a local theater and offer a “dinner and a movie” special. Contact a local hotel and pitch a special discount for patrons. Get social with your advertising. Thinking local is a great place to start but with the importance of social media you cannot stop there. Social media outlets are great places to spend a little cash on advertising. If you are new to social media, Twitter is the easiest place to start. Ads on Twitter are simple to create and inexpensive. Facebook is a little more challenging with more options to choose from. Both options let you target your audience. Collect emails. Be sure to collect email addresses at every opportunity, whether it be through your business website or at local business meetings. When gathering emails through your website, insure that the process is completely seamless. Talk with your website designer or partner with a third party marketer. Make good use of email abilities. Use them to offer specials to not only attract new customers but to retain the customers you already have. Also make use of email to announce special events at the restaurant. A great email promotion is for birthday celebration. Offering a free drink or dessert to customers, not only can make their day, but brings them in. Most birthday celebrating happens in groups so why not take advantage of the extra business. 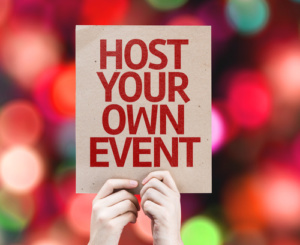 Host an event. This is a great idea especially if yours is a fledgling business. What better way to attract people to your doors than by having a grand opening! Consider offering sample size portions to introduce customers to your signature dishes. Hosting a holiday themed event also brings in the customers. Try hosting a less popular holiday such as a Ground Hog’s Day event and be sure to offer drink and food specials. If your restaurant can accommodate, featuring music on several days of the week can also draw in a different type of customer. Featuring music can also add to the ambiance you are trying to create at your establishment. And when considering events, do not overlook the tried and true happy hour. Happy hour can be a great way to introduce the work crowd to your restaurant and your featured items. Feature your menu items. Host a meet and greet with your chef and have him create a signature dish for the event. Incorporating wine pairings with the event would reach even more customers. Team up with a local produce distributor and offer recipes featuring in-season fruits and vegetables. Maybe even consider writing a cookbook and get the local media involved. Or if that seems way too complicated, offer recipes or tips on your website on a monthly basis. Use any means to engage your customers. List your business online. These sites have basically taken the place of the Yellow Pages. List with several of these sites to receive maximum exposure. Yelp is by far the most popular of these sites. The site allows customers to rate their experience and leave feedback in addition to providing basic business information. Foursquare is another great resource. Your customers get to check in while they dine, giving you instant exposure. Make use of online ordering. Online ordering is real. The demand is increasing. Make use of it in order to stay ahead of the competition and to promote restaurant growth. When customers search for new restaurants online, having online ordering can give your restaurant the edge. Although those who online order may not be walking through your door, they are adding to your bottom line. As you can see the possibilities are as vast as your imagination. 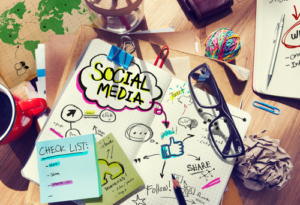 Making use of local connections and the boundless possibilities offered by social media can increase your loyal followers. Tailor your marketing not only to your business but to the audience with whom you wish to connect and your success will be certain.